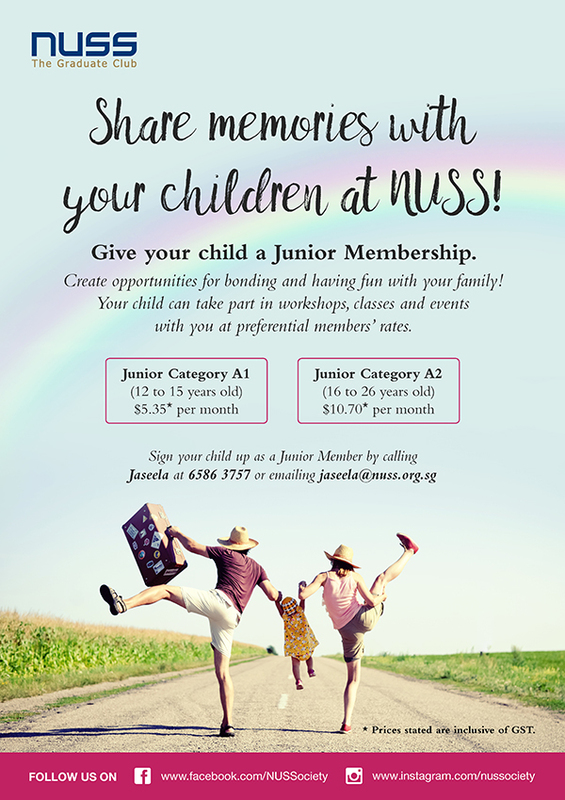 Open to all children of NUSS members (12 to 26 years) and all NUS students pursuing graduate coursework in NUS. Shall sign on the member’s account and be liable to pay all expenses incurred with the Society. The member’s account will be linked to GIRO.